Virginia Suber Ferguson, 92, wife of the late Fletcher W. Ferguson, Sr., of Abbeville, SC, died Friday, July 20, 2018 at her home; her family was with her. She was born in Columbia to the late Rev. Dr. Thomas Frank Suber and Julia Lake Suber. Mrs. Ferguson was a graduate of Dreher High School in Columbia and Winthrop College, presently Winthrop University. In 1963, she began her twenty-five year teaching career at Abbeville High School where she was the first female Physical Education teacher. As bagpipe director of the Abbeville Grenadier Band, Mrs. Ferguson influenced many students, including her family, to excel in talent and performance. An accomplished pianist, her outstanding musical expertise was evident; teaching piano enabled her to share this gift. She served as director of the Abbeville Recreation Department. Her focus was on swimming instruction and coaching the competition teams with her husband, Fletcher. Here Mrs. Ferguson created and directed the Aqua Shows which were well known and appreciated throughout the state. She was vibrant and happy on the stage of the Abbeville Opera House. Over the years, Mrs. Ferguson was involved in various aspects of theatre. A longtime member of Main Street United Methodist Church, her role as Chancel Choir director spanned over 50 years, most recently officially retiring in early 2018. She leaves a legacy of honor, leadership and graciousness to everyone who enjoyed the pleasure of knowing and loving her. In addition to her husband and parents, Mrs. Ferguson was preceded in death by her son, Tommy Ferguson. She is survived by her children, Fletcher Ferguson, Jr., and his wife, Christine, of Ocean Isle Beach, NC, Cynthia Ferguson Ramsey and her husband, Ernie, of Donalds and Dawne Ferguson Hershberger and her husband, Don, of Abbeville; grandchildren, Stephanie Hershberger Whitlock (Patrick), Jennifer Hershberger Roark (Walter), Scott Ferguson (Amber), Katherine Hershberger Hudgens (Keith), Joseph Ferguson (Caroline), Amanda Hershberger Moss (J.B.), Melissa Hershberger Tillman (John) and Julianne Hershberger; and great-grandchildren, Aiden, Ligon Hope, Ellis, Elliott, Sawyer, Emerson and Julia. The family will receive friends from 3:00PM – 5:00PM, Sunday, July 22, 2018 at Harris Funeral Home, Abbeville Chapel. Funeral services will be 11:00AM, Monday, July 23, 2018 at Main Street United Methodist Church in Abbeville with the Rev. Brian Arant, Rev. Randy Taylor and Rev. Jerry Pickens officiating. Burial will follow in Forest Lawn Memory Gardens. The family expresses their sincere appreciation to Dr. Allen Kolb for his attentive care and compassion given to Mrs. Ferguson over the years. His presence in her final hours was a comfort to her and to the family. 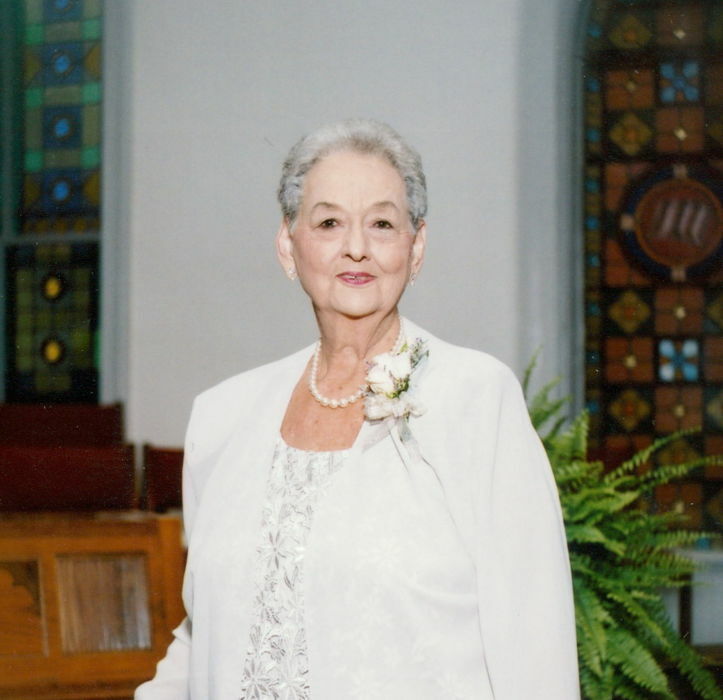 In lieu of flowers, the family respectfully requests that memorial contributions, in memory of Mrs. Ferguson, are sent to the Main Street United Methodist Church Organ Fund, PO Box 656, Abbeville, SC 29620. Harris Funeral Home and Cremation Services of Abbeville is assisting the Ferguson family.